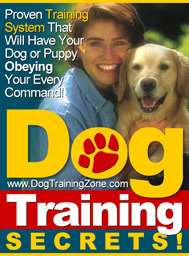 It is the responsibility of dog owners to provide for both physical and mental well-being of their dogs. In order to have a dog that is healthy and happy, it is important to ensure that the dog exercises on a regular basis. 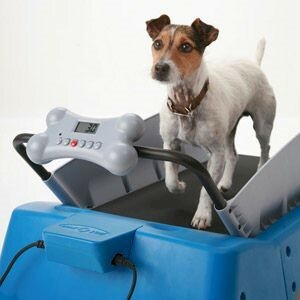 A Petzen Dogtread Dog treadmill is an exercise machine that is specifically designed for dogs. The treadmill is perfect for many breeds and is designed for the way a dog thinks, moves and learns. 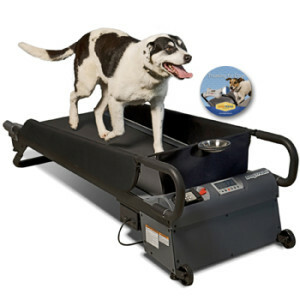 The petzen small dogtread dog treadmill has a running area of 30×14 inches and reprogramming speed of 0-5 mph. It has a shipping weight of 71 pounds and is recommended for trainers and Veterinarians. The machine is an answer to your dog’s fitness and behavior needs. All the three categories of the petzen dogtread dog treadmill that include the petzen large dog tread dog treadmill, pezten small dogtread dog treadmill, petzen dog tread medium motorized dog treadmill cater for a dogs specific behavioral and anatomical needs. The machine makes treading easy and fun to learn because of its integrated console and unique low-profile running platform. The PetZen Dog Tread Dog Treadmill has an easy flip-bar incline adjustment that is normally used to simulate outdoor terrain. The treadmill has pre-program workouts and programmable speeds. The machine is constructed of high quality materials and workmanship and is also known to be very portable and space-saving. It is also important to mention that the treadmill ensures longevity and optimal health regardless of physical restraints, time and weather. 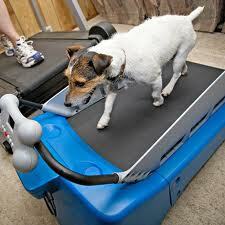 The treadmill helps a dog owner to establish 30-45 minutes of brisk walking on a daily basis. The Petzen dogtread dog treadmill is ETL listed and approved by the American Pet Association. Other important features of this type of treadmill include large transportation wheels, safety cord, safety start and stop, blue back-lit LCD screen, remote control, removable training treat holder and a whisper quiet motor. The most accurate way to determine the best treadmill for your dog is by checking its gait measurement. 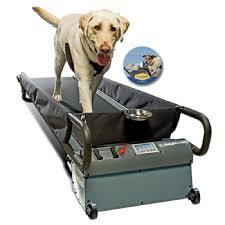 A good dog treadmill should provide wiggle room and enable your dog to change gait at a comfortable speed. Those that own dogs of many sizes can buy a petzen large dogtread dog treadmill by measuring the biggest dog. The weight, size and breed of dog are in most cases put into consideration when selecting a dog treadmill. It is not a must to buy a petzen small dogtread dog treadmill for your smaller dogs because they can learn to practice on the larger treadmill. It is clear from this review that the Petzen Dogtread Dog treadmill is a perfect solution when in comes to making your dog happy and healthy. The treadmill is easy to use and one is free to choose a category that fits their dog.